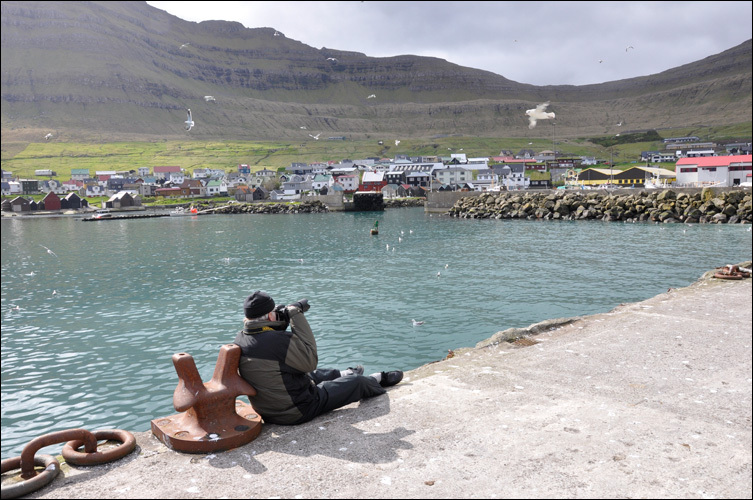 IS THE SEA AROUND THE FAROE ISLANDS AS CLEAN AS WE BELIEVE IT IS? 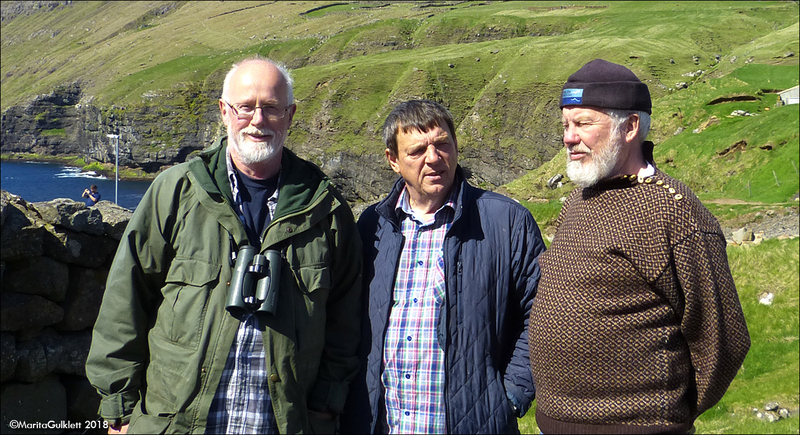 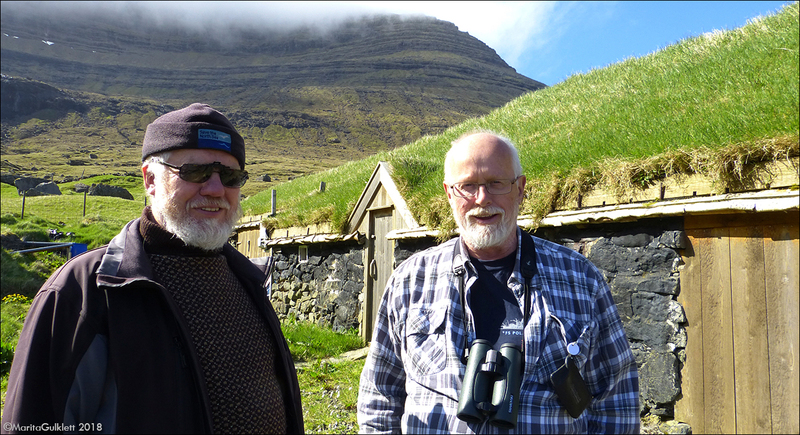 Again in May 2018 Jan Andies van Franeker came to the Faroe Islands to pick up stomachs from Fulmars, that Faroese bird hunters has collected for him. 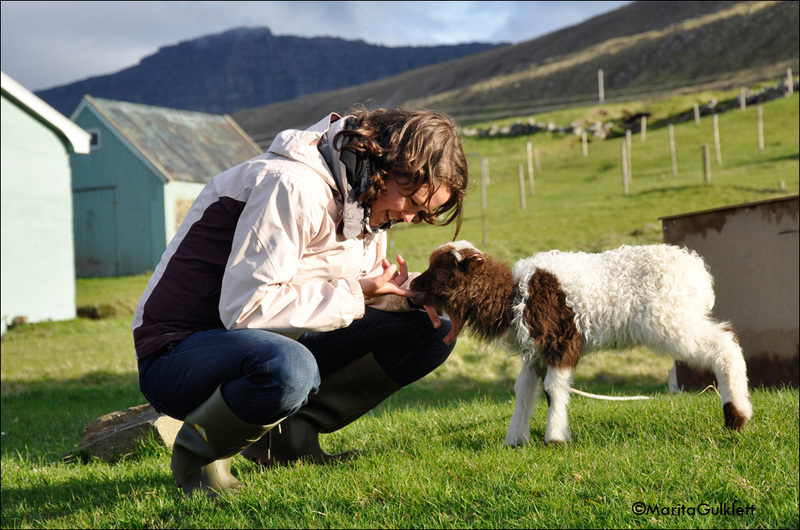 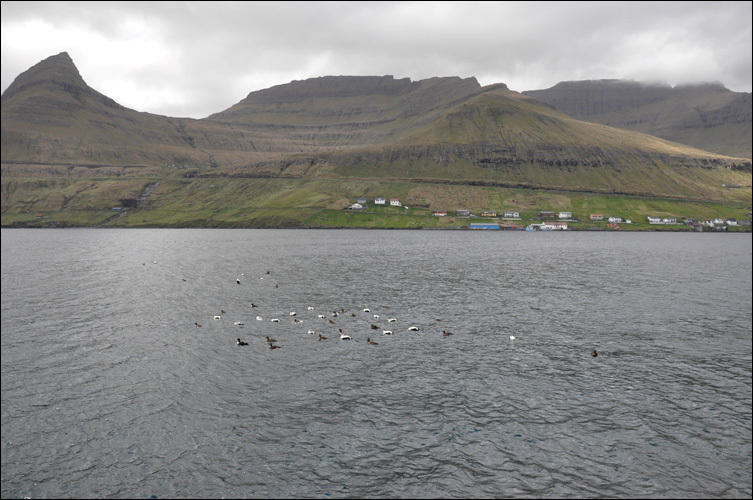 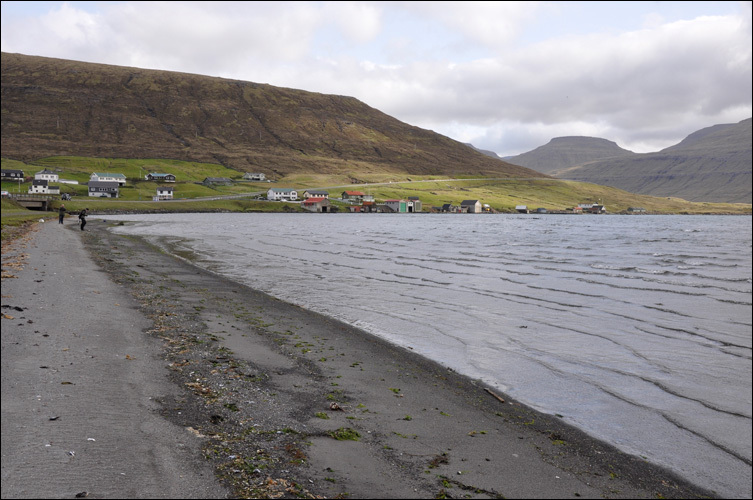 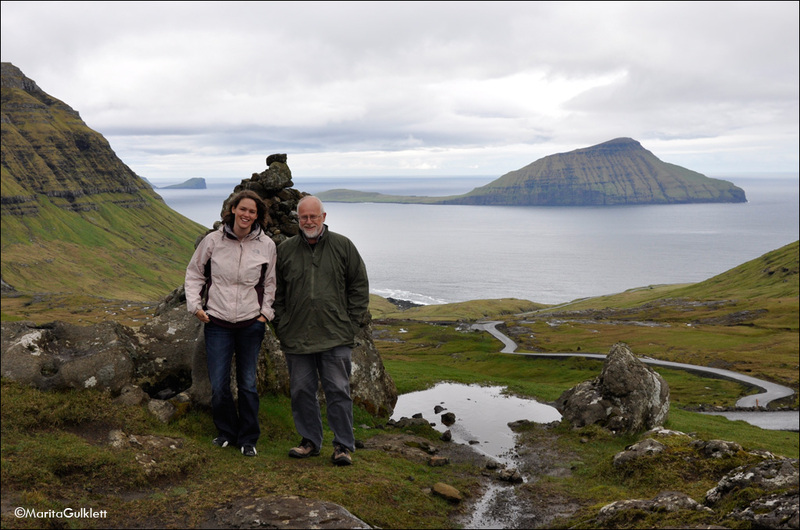 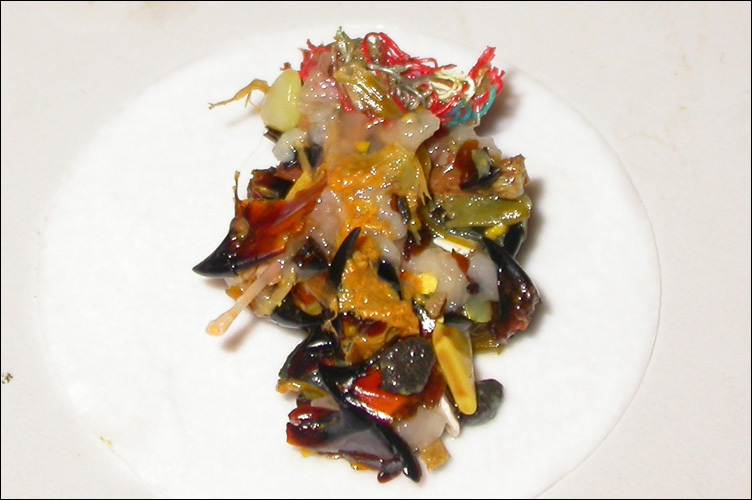 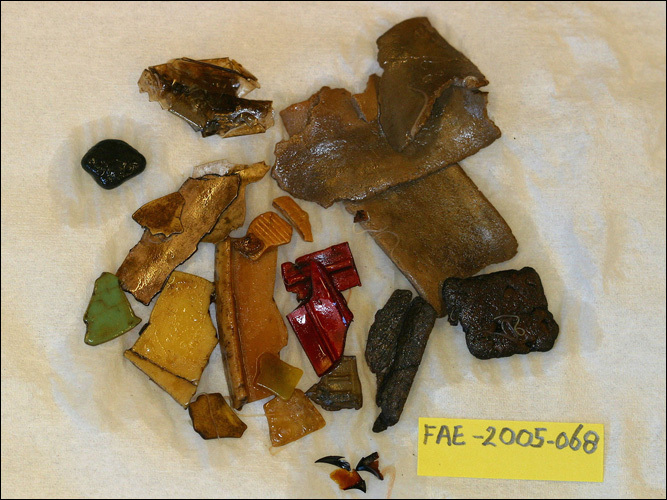 In 2003 Faroe Islands joined the EEC project "Save the North Sea", which is a study of pollution in the oceans. 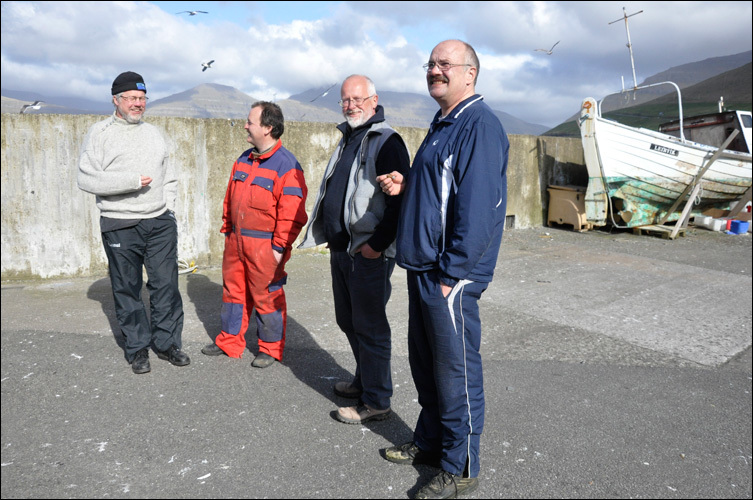 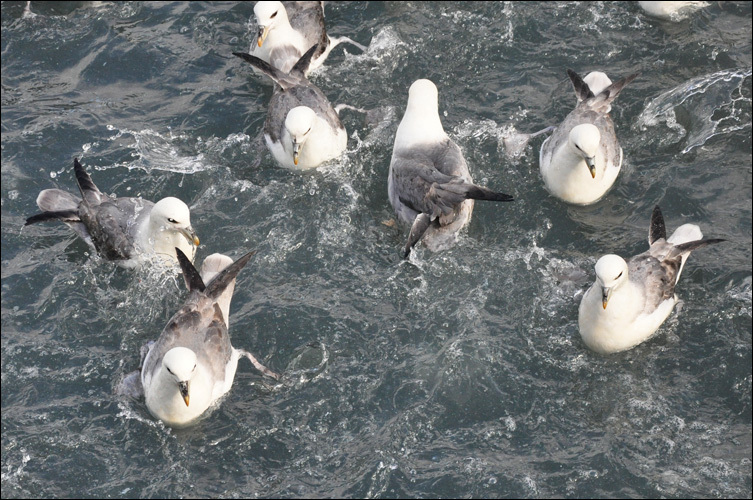 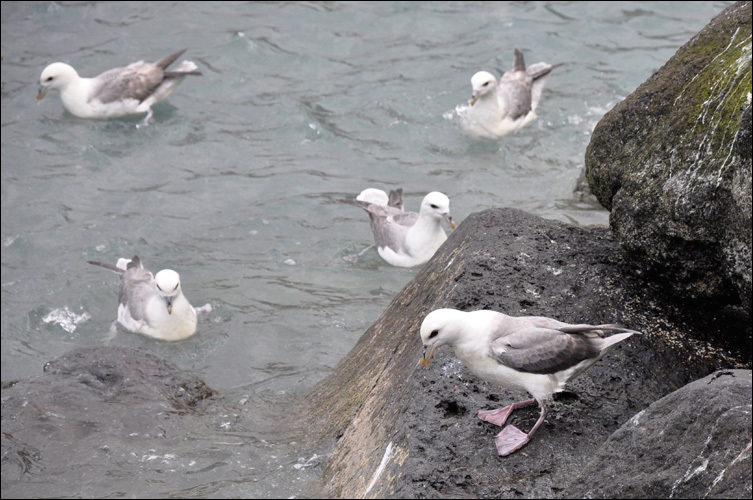 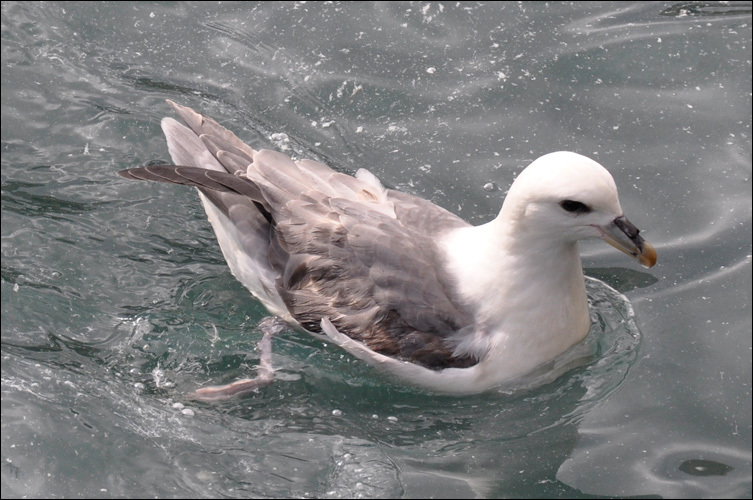 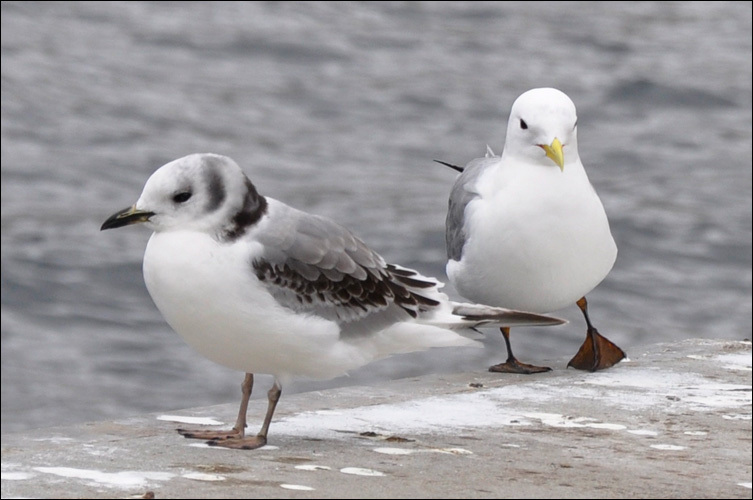 In that connection Jan Andries van Franeker from IMARES in the Netherlands came to the Faroe Islands to examine, how much litter was contained in the fulmar stomachs. 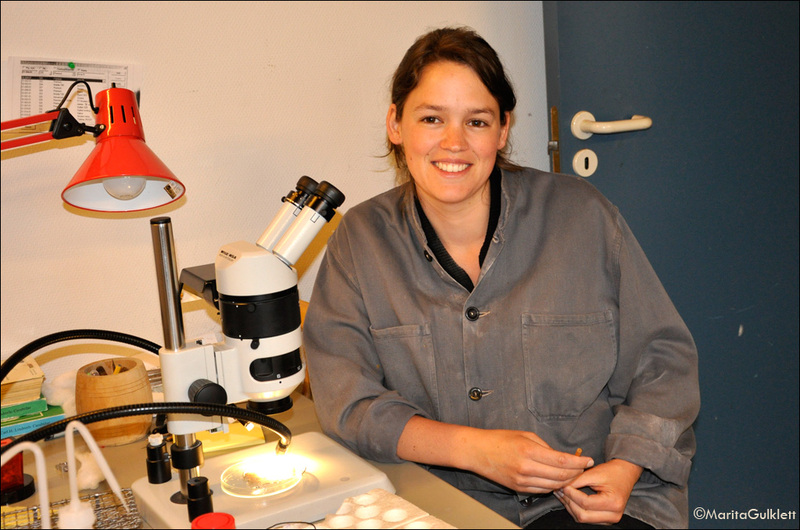 Depending on how much plastic is found in the stomachs, Van Franeker is able to estimate how much pollution is in the sea. 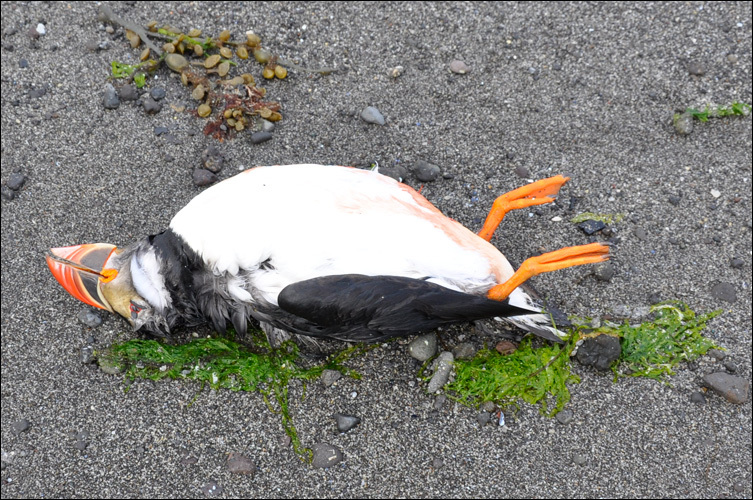 We have always boasted about having the cleanest ocean in the world, but now we have to face the reality. 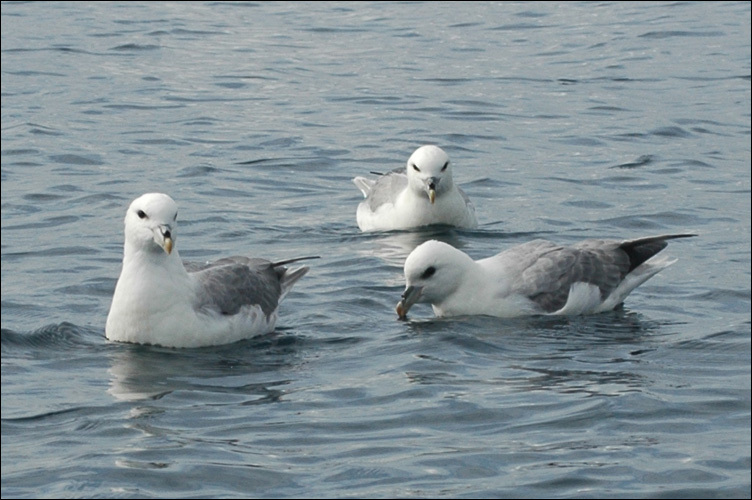 The Faroese fulmars are full of plastic, and even if the they are not as polluted as their brothers in EEC, it is no excuse for us doing nothing. 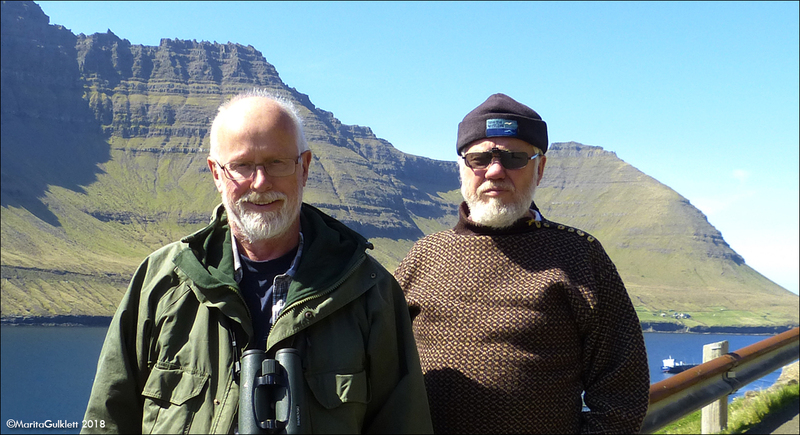 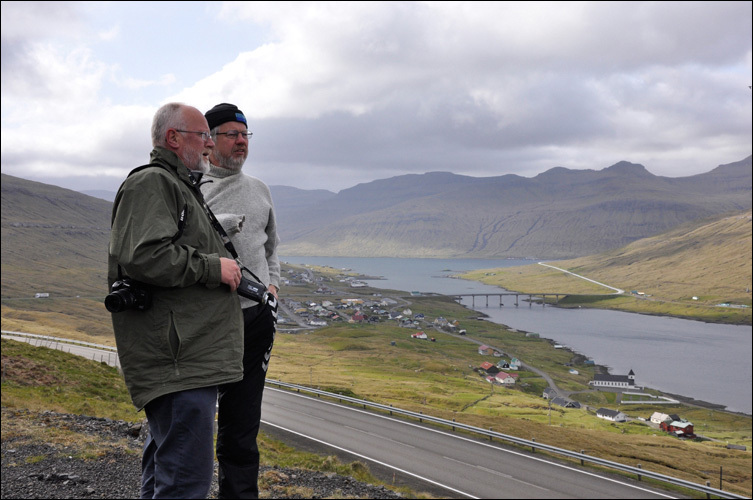 14.05.2009 Jan Andries Van Franeker and Jens-Kjeld went to Leirvík, Eysturoy, to look for fulmars. 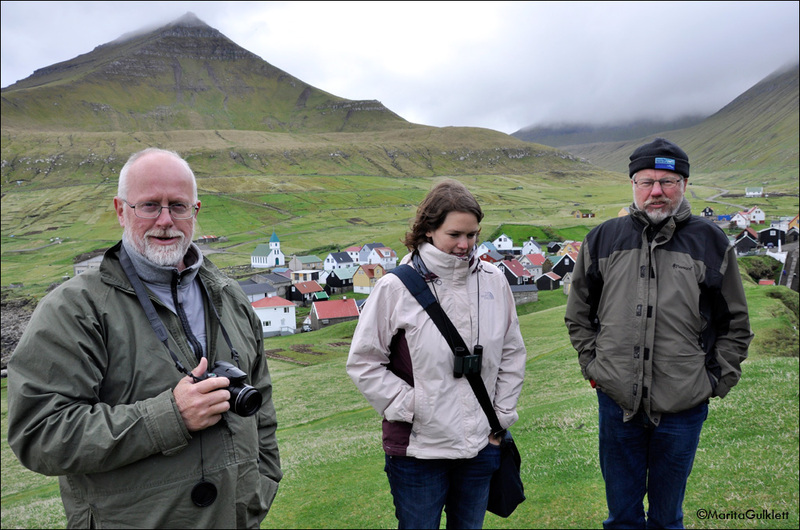 Here are some photographs from their tour. 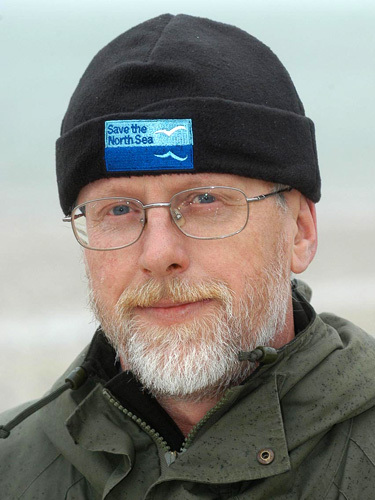 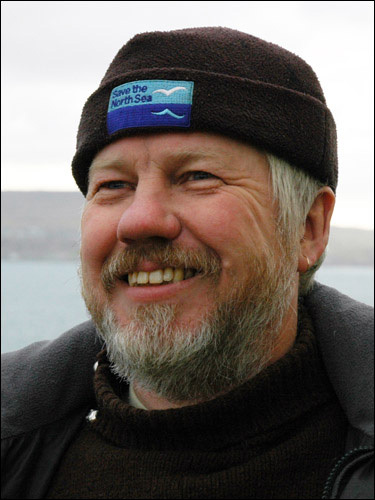 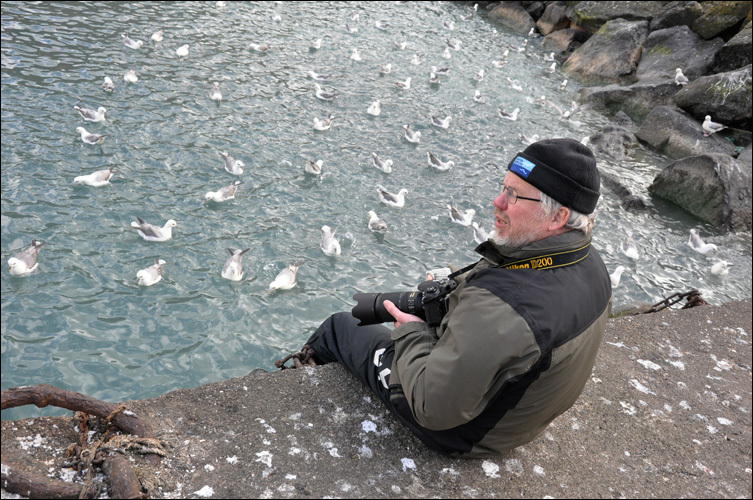 Jan Andries van Franeker has visited Faroe Islands yet another time in 2011 in connection with plastic in Fulmars. 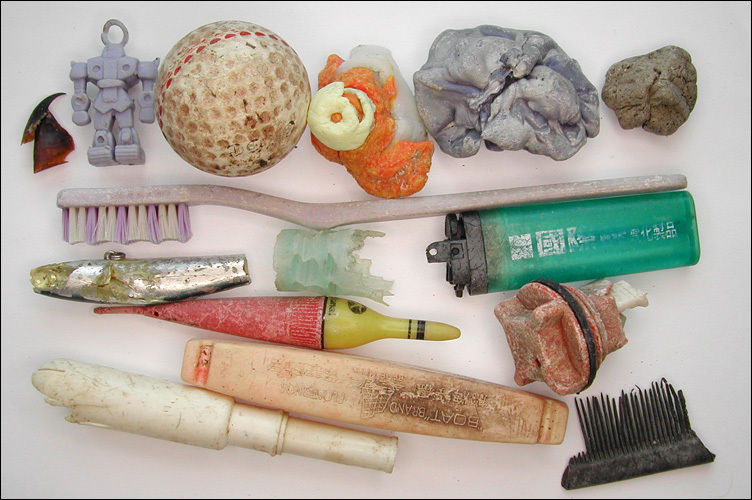 It will be interesting to see, if the plastic amount has decreased or increased. 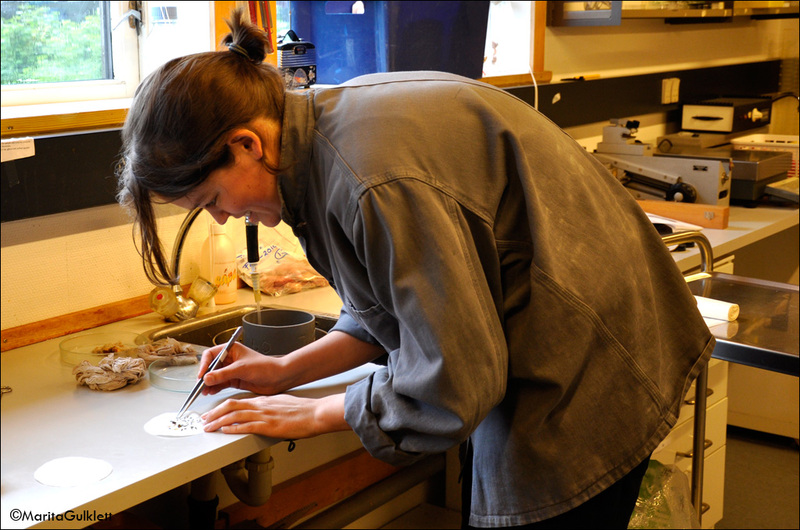 This time Franeker was assisted by Elisa Bravo Rebolledo. 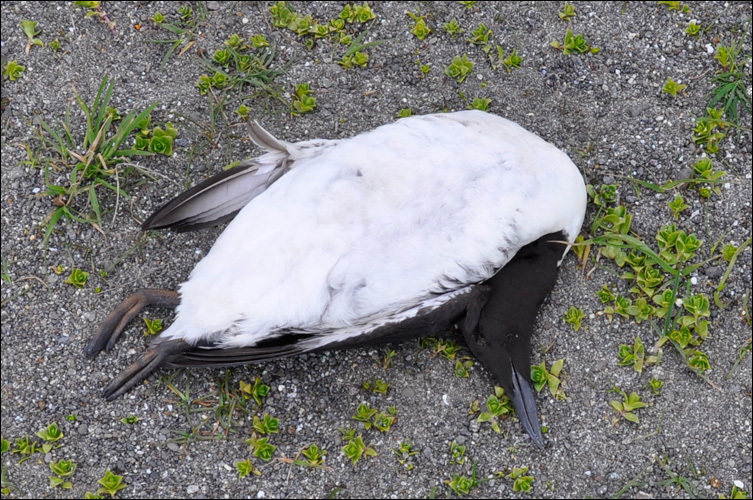 We will update the result as soon as we know more. 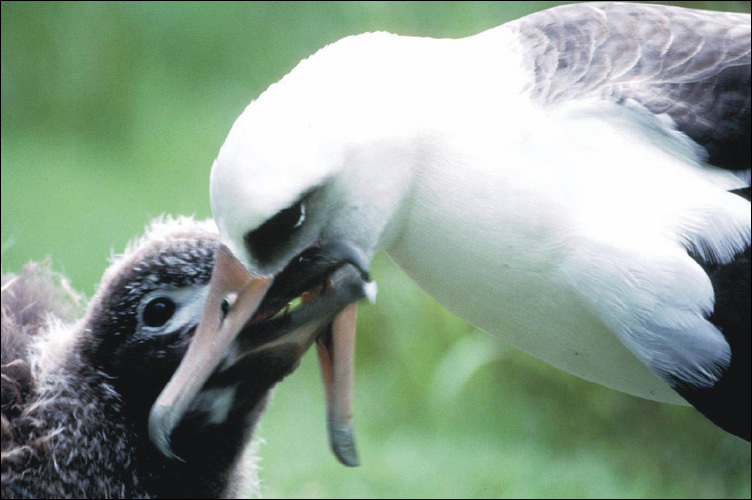 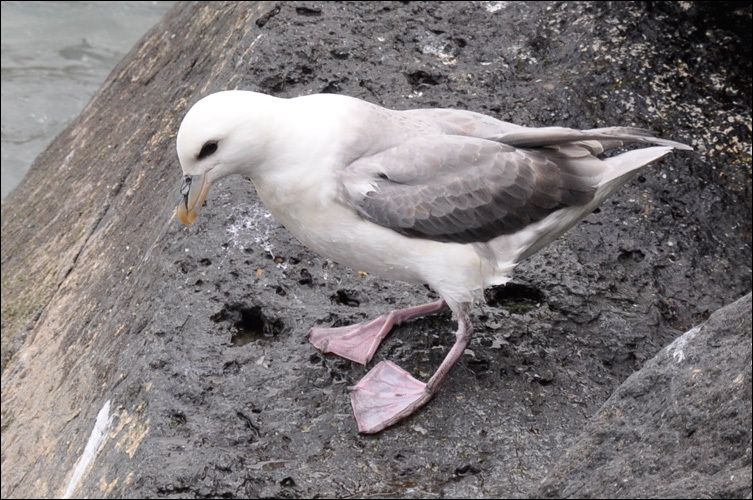 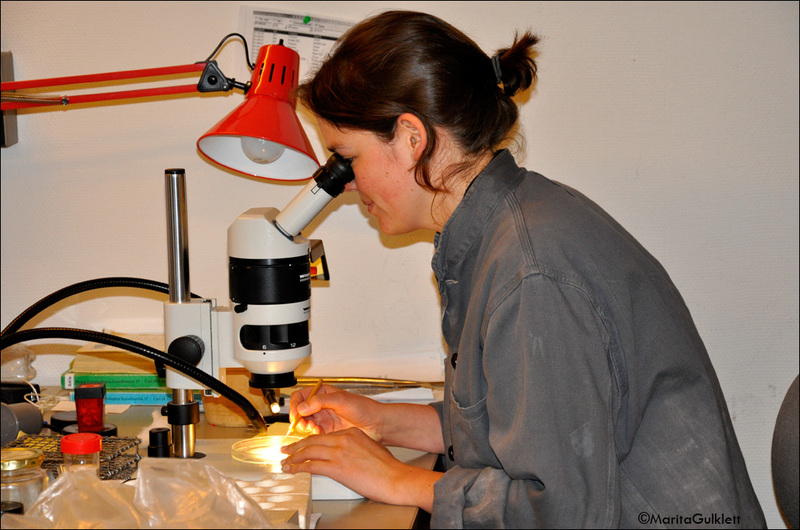 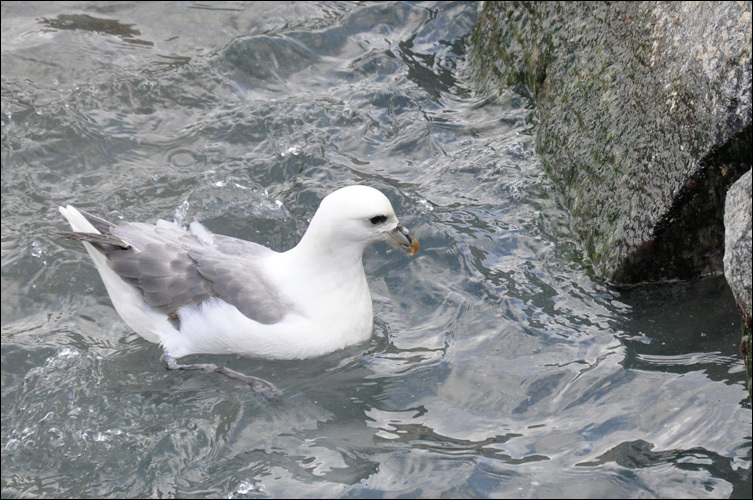 Elisa Bravo Rebolledo is searching the Fulmar stomacks for plastic by using a smaller net then Franeker to double check, if anything passes through his slightly larger masks. 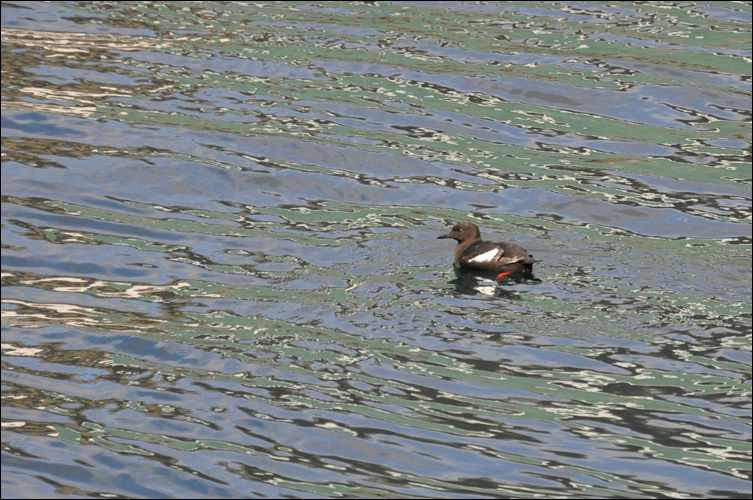 Rotterdam is known for the very strict regulative's regarding pollution of the sea and harbor area. 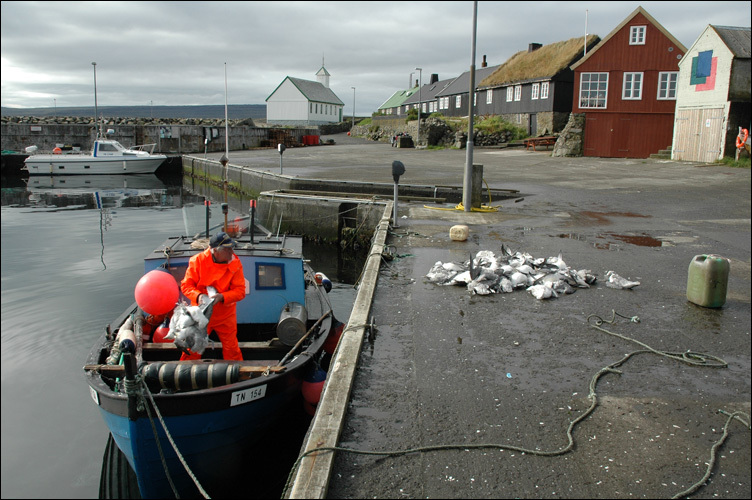 This of course involves the harbor authorities, who play a major role regarding protection of the Dutch environment. 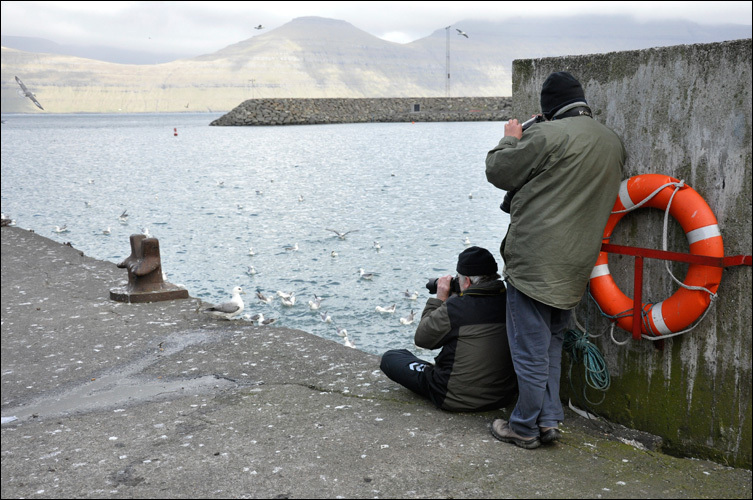 Further more the harbor authorities have made a film to show, how prevention works. 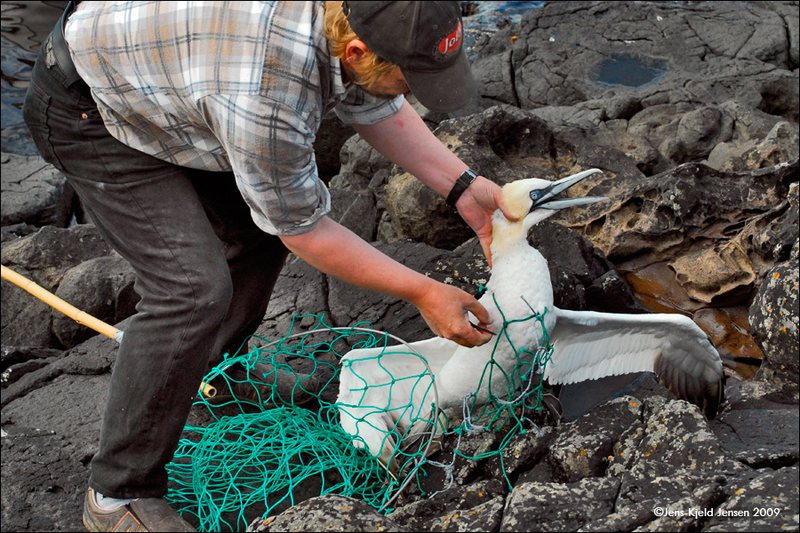 The famous dr. Jan Andries van Franeker, known for his research of plastic in seabirds, plays the role as himself in the film. 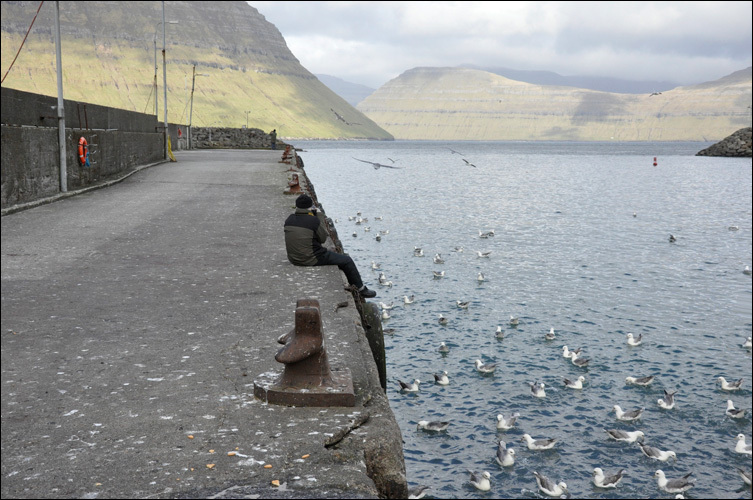 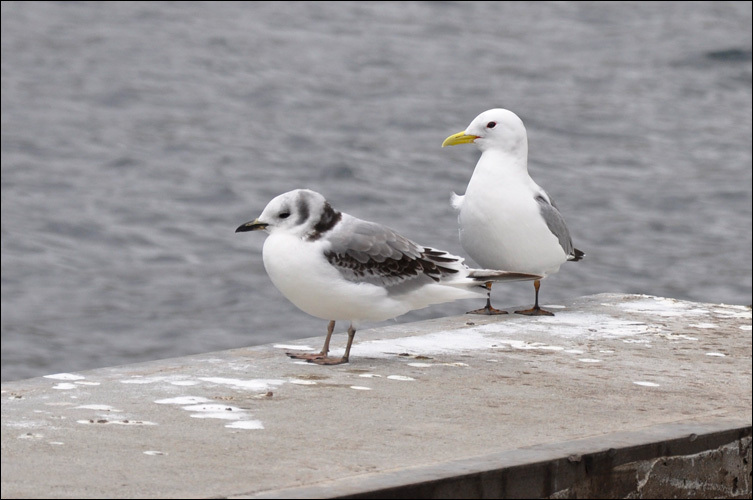 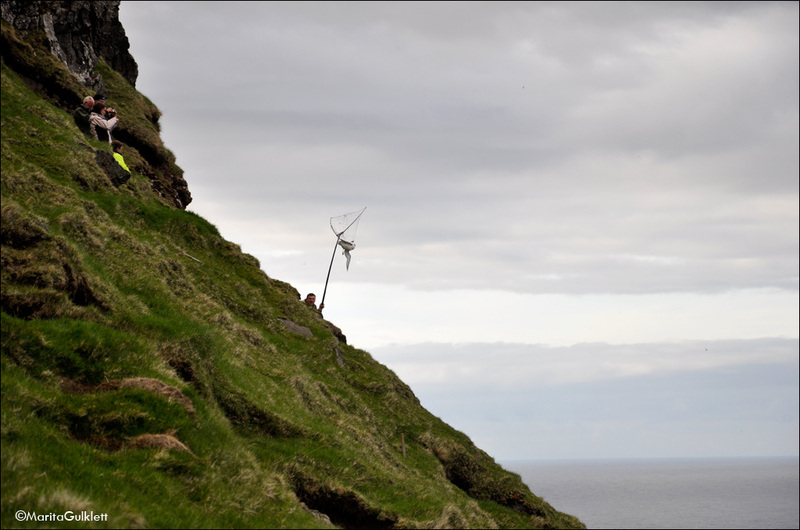 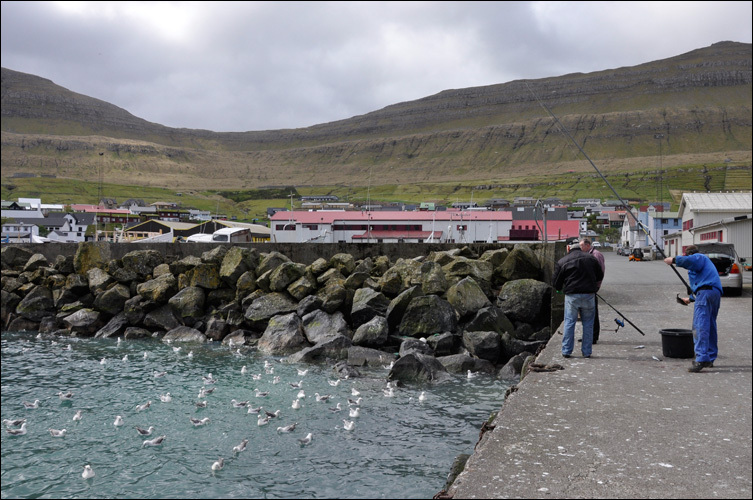 Franeker is known in the Faroe Islands, since his project also involves the Faroese Fulmars. 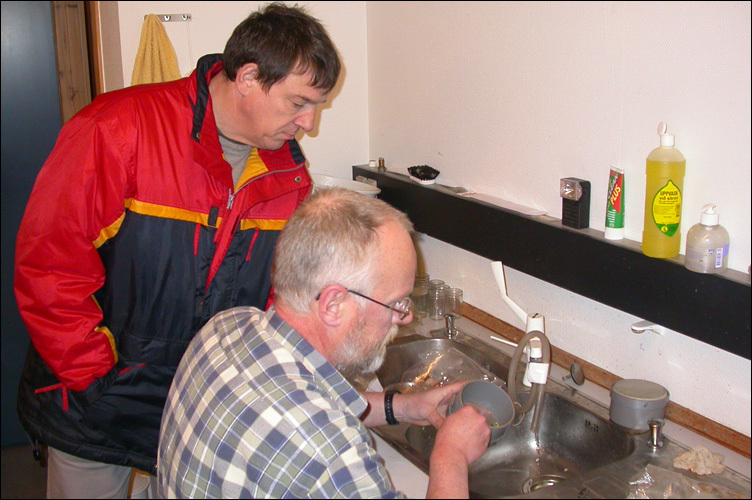 We could learn a lot from The Netherlands! 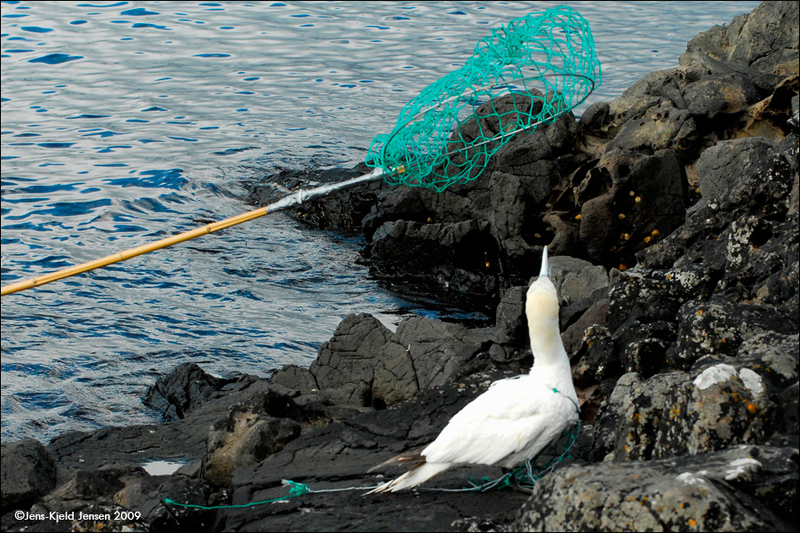 Sadly it is getting more and more common to see birds trapped in all kind of waste. 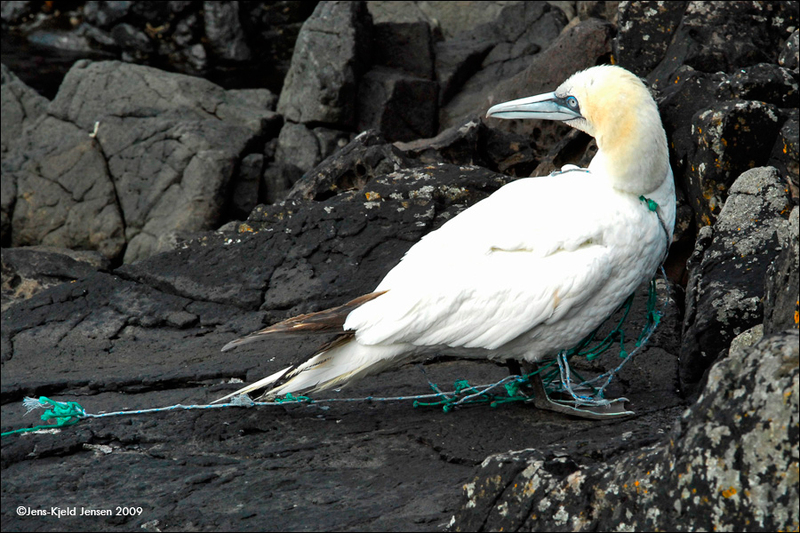 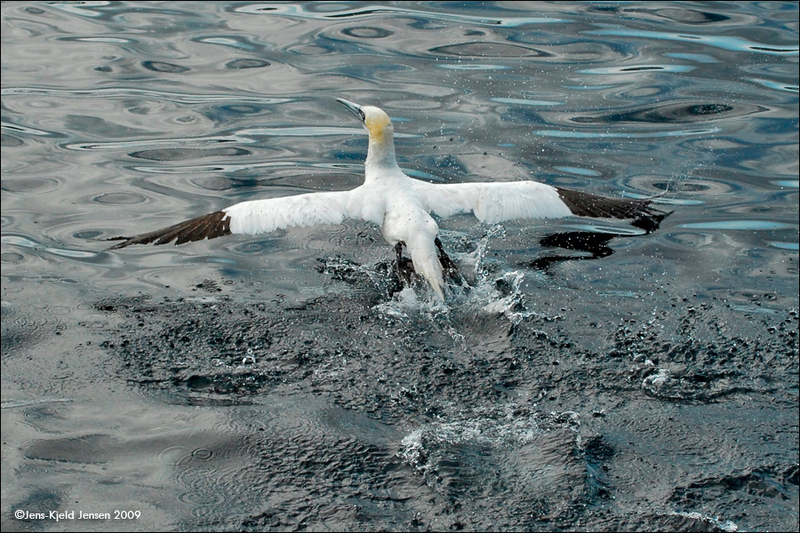 Very few of the birds are as lucky as this gannet, who was rescued by as many as 3 men from Nólsoy.